Geoff Whittle has made profound contributions to matroid theory for more than three decades, culminating in the structure theorem for minor-closed classes of matroids and the recent resolution of Rota's Conjecture with Jim Geelen and Bert Gerards. To celebrate Geoff's 65th birthday, the School of Mathematics and Statistics at Victoria University of Wellington held a conference from December 14 to December 16 to celebrate his many mathematical achievements. Michael Welsh has made an album of photos from the conference. 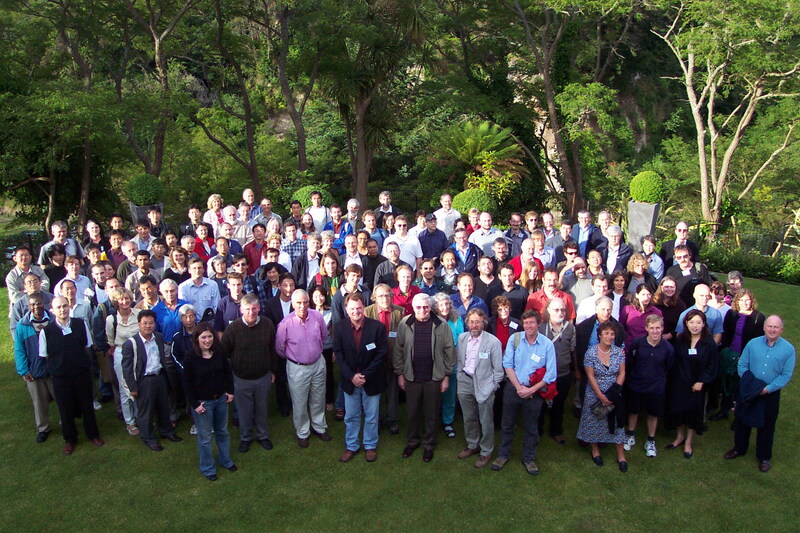 Many of the participants at the conference were present in this photo, taken at the ACCMCC meeting held in Taupo in 2004. The organisers are Dillon Mayhew, Charles Semple, and James Oxley.